Seen by the parameter table: The first generation of ordinary single silver LOW-E product containing a layer of metallic silver layer, convergence to certain corrosion resistance, and temperature capability of the protective film, having a reflection of far-infrared heat radiation, reduces the heat transfer coefficient K value lower shading coefficient Sc, which has good thermal insulation performance. 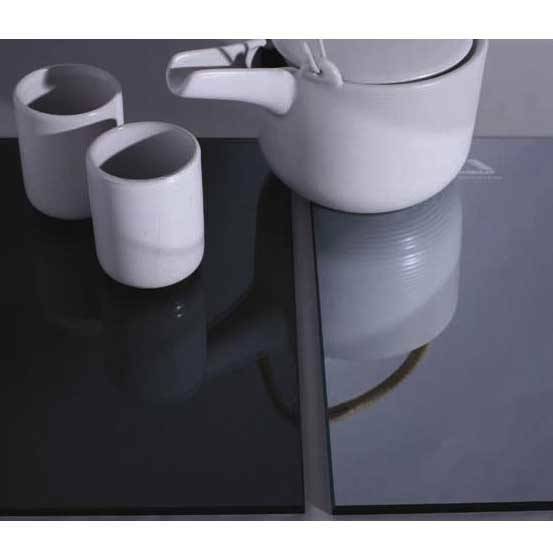 The number of second-generation double silver LOW-E coating up to 13 or mo re layers, the increase of the film led to its internal structure becomes mo re complex, the interaction of different physical and chemical properties ofthe film, product design and development is extremely difficult. Com pa red to gene ration, second- gene ration products Advanced can be tempered LOW-E products containing the Layer pure metal silver film structure, it highlighted the glass shielding effect of the thermal radiation ofthe sun, the glass high light transmittance and solar heat radiation low permeability cleverly combined. The product is lower than the first generation of LOW-E products Shading Coefficient (Sc) and lower heat transfer coefficient (K-value), valid sunlight filtering is the true meaning of "cold light", to solve the high visible light transmittance and low solar transmittance irreconcilable contra dictions, in pursuit of the doors and windows, the appearance of the curtain wall permeability provide an effective energy-saving guarantee. Reflecting most of solar heat and having a low luminousness are the main characteristics of the coated glass and shows a perfectly good effect once being used in actual life. The coated glass has a variety of reflection colors, such as golden, silver, copper, brown, blue and green. Adopting the glass as glass curtain wall, buildings will look like colorful and very beautiful because of a light action and thus is an ideal choice forthe decorations of off ice buildings, hotelsandtheflats'ou ter walls.